SAVE THE DATE - Our S2R Will always be the Last Weekend in September! We must be their voice. One Voice. One Howl. We will not be having S2R events in all state groups. We invite you to "Join Us" and HONOR wherever you are! Join us in solidarity and wear the event color as you walk or hike in your area. 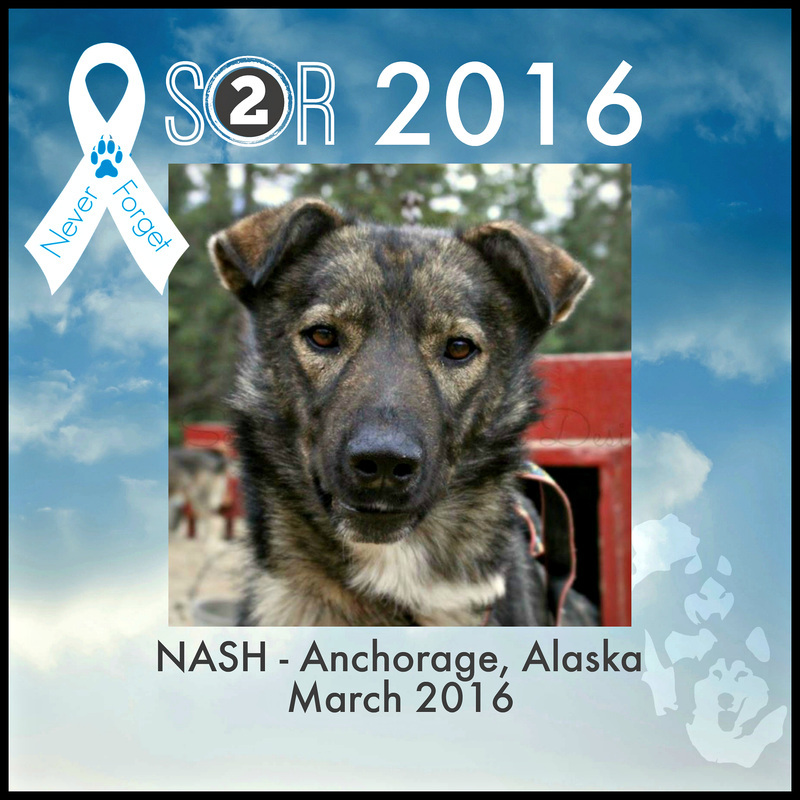 We would love to see photos of you and your pack supporting our cause! that have endured these tragedies. Please send your photos to H2M2S2R@gmail.com. Thank you for helping us to maintain our promise to Never Forget! 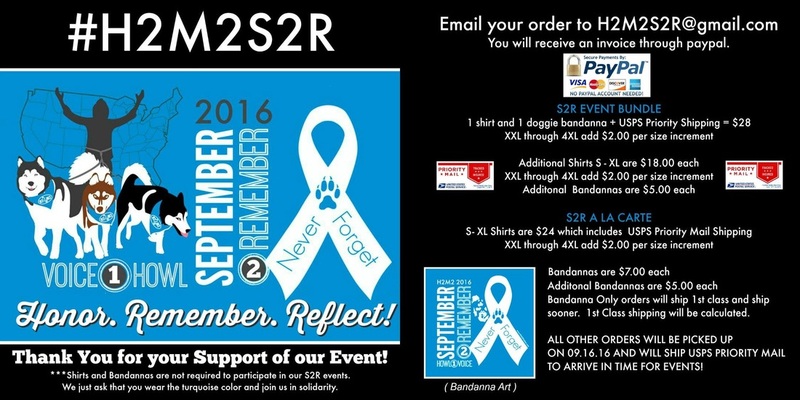 We have been asked by many members to provide S2R event shirts and bandannas. Here is the ordering information if you would like to order. Orders will be shipped USPS Priority Mail after 09.16.16 and will arrive in time for the S2R weekend. Shirts and bandannas are NOT required to attend our S2R Events. Clarification: We are not a 501c3 organization. This is a merchandise sale offer. We do want to support our Pet partners and we are choosing to donate profits from our merchandise sales. we support Matt and Nancy Falk as they continue to fight to get Logan's Law passed in MI. in Goodells, MI on 09/25 and we will present the check at that time. one of our members in Kentucky who was fatally shot by a bow and arrow. We promised our H2M2 member Sonia that we would not forget UConn...and we will not.